A malasada is a Portugese doughnut without a hole. We fry generously-sized balls of dough until it’s golden brown on the outside and light & fluffy on the inside. 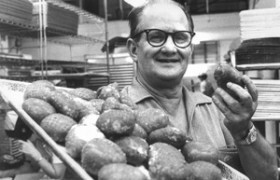 We started making malasadas as part of the Portugese tradition for Shrove Tuesday back in 1953. Now, we make them continuously everyday. 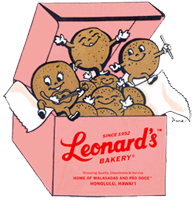 We are Hawaii’s original malasada™ bakery. All of our malasadas are made with our special dough using the finest ingredients. ʻOno as we say in Hawaii. 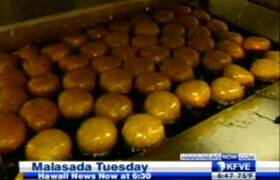 Malasada Puffs are also available in a flavor of the month.